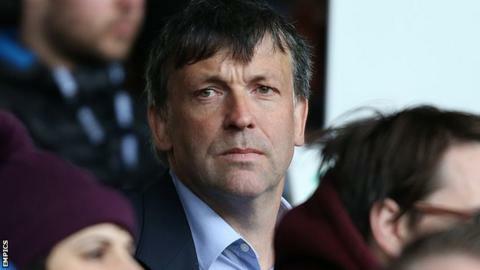 Karl Oyston has stepped down as chairman and director of League One club Blackpool. Documents filed by Companies House confirmed his departure from the board and replacement as chairman by his sister Natalie Christopher. Christopher, 32, is the owner and publisher of Lancashire and North West Magazine and daughter of Blackpool owner, Owen Oyston. She was appointed to the club's board last month. "Mr Karl Oyston is no longer chairman or director of the club, or any other Oyston Group company," said a club statement. "The club will make no further comment at this time."